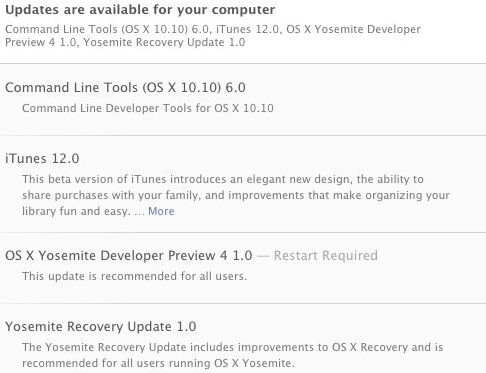 Apple has seeded the fourth developer preview beta version of Mac OS X 10.10 Yosemite i.e. OS X Yosemite 10.10 Developer Preview 4 (DP 4) (Build: 14A298i) along with Xcode 6 Beta 4.0 Update, Yosemite Recovery 1.0 Update, iTunes 12.0 Update for Mac OS X and Windows operating systems, Command Line Tools 6.0 and Apple Configurator 1.7 Beta 3 Update to OS X developers and non-developers (general public) for updation / upgradation. 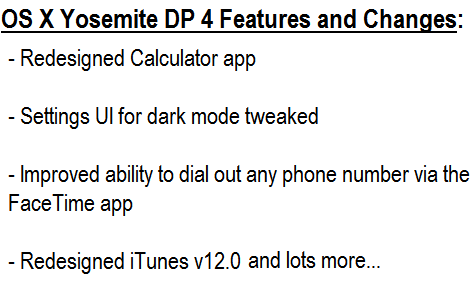 The official Direct Download Links of OS X 10.10 Yosemite Developer Preview 4 (14A298i) Combo / Delta Update 1.0 .DMG File is available exclusively below. 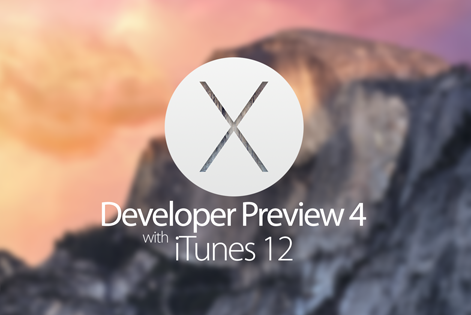 Mac OS X Yosemite 10.10 Developer Preview 4 (DP 4) (Build: 14A298i) Update official changelog holds; few major software improvements, system performance enhancement, stability, bug fixes with the addition of new features and functionalities changes. The latest Xcode 6 Beta 4 Update released with iOS Simulator, Xcode IDE and other frameworks tools for iOS 8 Apps and OS X Yosemite Apps development via Mac OS X v10.10 SDK and iOS 8 Beta 4 SDK. How to Download and Install OS X 10.10 DP 4 v1.0 Yosemite Manually? Mac users can update / upgrade to latest OS X 10.10 DP 4 (14A298i) software version via Mac App Store >> Software Update option. If you're registered OS X developer, then visit OS X Dev Center website for official OS X Yosemite 10.10 DP 4 Downloads, and If you're non-registered non-developers (general user) or a member of Public Beta Seed Program, then visit Apple OS X Beta Seed Program website to manually download, install and activate OS X 10.10 Developer Preview 4 via iTunes without Apple UDID registration and without OS X Developer account requirement for FREE. Download OS X Yosemite 10.10 Developer Preview 4 (14A298i) Combo / Delta Update 1.0 .DMG Files via Direct Links as mentioned below.